The Chesapeake Bay shoreline — rife with inlets, necks and tributaries both large and small — stretches 11,885 miles, longer than the entire west coast of the U.S. 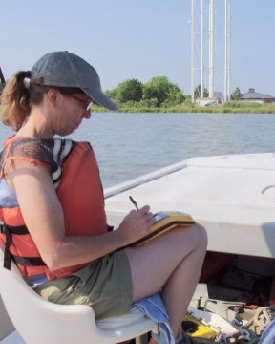 Researchers at William & Mary's Virginia Institute of Marine Science have just finished the latest iteration of a suite of online maps that can display the condition of the bay shoreline along its entire length — every beach, breakwater, boathouse, boat ramp, bulkhead, dock, jetty, living shoreline, marina, mud flat, oyster reef, tidal marsh, and tree-lined bank. 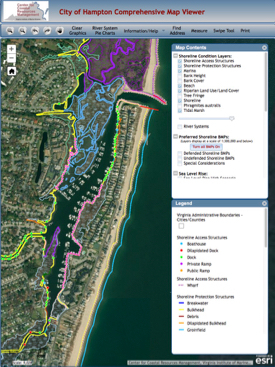 If that weren’t enough, users of these interactive tools can also view each aquaculture site, conservation easement, oyster lease, and underwater grass bed, as well as a model-based recommendation for maximizing shoreline health at any location. When erosion of the Virginia Beach oceanfront became a major issue in the 1980s, Hershner and colleagues were again called to Richmond to advise legislators on shoreline management. Informed that the state needed an inventory of all its coastal conditions — marsh and beach — the legislature directed VIMS to add a shoreline inventory to its advisory portfolio. 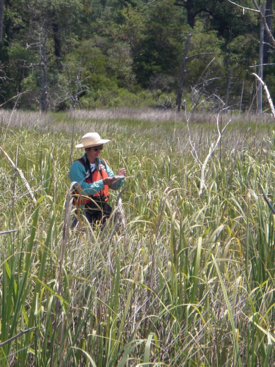 CCRM subsequently merged the Tidal Marsh and Shoreline inventories into a Coastal Inventory Program, the entity responsible for creating and updating today’s CCRMPs. 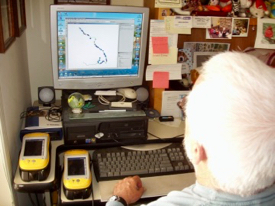 The GPS tools certainly helped, but mapping the Chesapeake Bay shoreline by boat remained a daunting task. 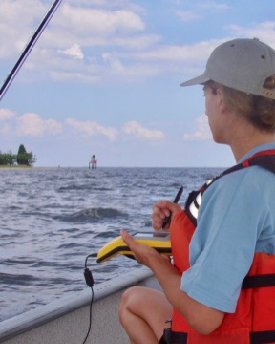 While the researchers digitized the shoreline from high-resolution aerial imagery in the laboratory, they recorded characteristics of the shoreline in the field by boat. On a typical day, says Berman, “We would trailer a boat, drive to a ramp and launch, then motor along for 20 or 30 miles." They would always employ at least two people — a pilot and someone to collect all the information relating to the condition of the bank, shoreline structures, and land use. Not surprisingly, they also had many chats with curious property owners. 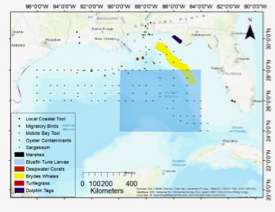 Indeed, Berman is currently partnering with NOAA on a multi-year project in the Gulf of Mexico using an inventory-based model that will soon help guide management action in Texas, Alabama, Louisiana and Florida, just like it now does in the mid-Atlantic (the inventory approach has also been adopted by localities in Delaware and North Carolina).